Touché par le “gâchis de talents” et la multiplication des problèmes de société, Matthieu Dardaillon a fondé en 2014 Ticket for Change, une organisation qui développe des programmes innovants permettant à chacun de réaligner ses aspirations personnelles et sa carrière professionnelle. Suivant trois étapes clés - inspiration - introspection - action -, les programmes développés permettent à une large diversité de personnes de révéler leur potentiel d’entrepreneur du changement et de passer à l’action dans leur vie professionnelle. En diffusant largement sa méthode grâce aux outils digitaux, Matthieu Dardaillon contribue à l’émergence d’une communauté mondiale de “héros du quotidien” capable d’identifier leurs talents et de les mettre au service de la société. Depuis 2014, 50 personnes de tous âges et horizons participent chaque année au Tour Ticket for Change à travers la France, une expérience intense pour passer de l’idée à l’action, suivi d’un accompagnement dans la durée. Construit à partir de ce programme terrain, un MOOC d’un nouveau genre a déjà touché plus de 56 000 participants à travers 160 pays. 88 entrepreneurs sociaux ont été accompagnés dans les premiers pas. Matthieu étend d’ores et déjà son impact au monde de l’entreprise en adaptant son programme aux intrapreneurs – des individus souhaitant porter des projets à impact social au sein de leur entreprise. 60 intrapreneurs ont ainsi été accompagnés. Matthieu Dardaillon est diplômé de l’ESCP Europe. Il développe dès ses années d’études des projets visant à inspirer la jeunesse à passer à l’action via l’entrepreneuriat social, tel que le projet Destination Changemakers et la publication du livre “A la rencontre des entrepreneurs qui changent le monde”. Il crée Ticket for Change à 24 ans. Cette description du travail de Matthieu Dardaillon a été rédigée lors de sa sélection comme Fellow Ashoka en 2016. Launched in 2013, initially as a way of engaging millennials in changemaking as a career, Ticket for Change has already been adopted by several French companies to enable their employees to accelerate their changemaker potential. Through a set of offline and online tools, Ticket for Change is now quickly spreading by engaging thousands of people who are empowered to form local changemaker communities. Changemaking demands, first and foremost, an attitude shift. This sustainable attitude shift requires people to actively reach a balance between what one loves, what one is good at, what the world needs, and what one can be paid for. With Ticket for Change, Matthieu aims to enable every individual to go through the personal transformative process that will help him/her reach this balance. Ticket for Change’s initial pilot includes a set of appealing, well thought out, multi-format ground programs and online tools that already reaches thousands of people. Matthieu is spurring a movement of people to see this journey as fulfilling at personal, professional and collective levels. Changemaking has to be seen as an attractive and necessary attitude and a potential professional path. The thousands of individuals impacted through the activities of Ticket for Change form an unprecedented mass of “everyday heroes” to which individuals from various backgrounds can relate. Matthieu builds on this growing community to reach a deep cultural shift: Ticket for Change’s model invites participants across the globe to self-organize into local communities of aspiring changemakers. By specifying and systemizing how this mindset shift can work, Ticket for Change allows a wide range of players among the private and public spheres to customize their own programs for accessing and acting on their changemaker potential. This is made possible by the development of open source online tools and through a specific support kit offered to adapt the program to new targets or themes. More and more people are looking for purpose in their everyday livee. Increasingly low engagement levels among employees illustrate this deep crisis of meaning: in Europe, more than 85% of employees declare they are not engaged or actively disengaged in their company (2013) . More specifically, research shows that fulfillment at work is a top expectation of the millennials. This generation represents 40% of the active workers in France in 2015. But simultaneously, in a more and more flat world that enables citizens to easily connect, share ideas and take initiatives, 82% of the millennials believe that they can positively impact the world . Yet there is no existing formalized momentum or widely-accessible tool in the current French system to allow every individual to connect with one’s personal potential and deep aspirations, while considering one’s contribution to society. If some personal development programs exist, they are far from being generalized - they are often expensive, mainly offered in private universities or corporations - and are not connected to collective wellbeing. In addition, The French education system does not foster the entrepreneurial mindset: among the 45% of students willing to create their enterprise, only 22% assert that they have been encouraged to do it. What is more, academic teaching is often disconnected from the social issues, and most of the academic institutions still define the wage and the prestige of the organization their former students work for as the most important indicators of success. This results in most students joining the biggest companies without questioning the purpose of their work. Moreover, as the role of the State in social services has historically been significant in France, French citizens generally tend to adopt a wait-and-see attitude towards the government regarding social change. There is however a favorable context for the emergence of a new generation of changemakers. France has recently embedded the idea of a “social economy”. In 2014, the government passed a law that fully recognizes the social economy as a specific sector, thus facilitating the funding of social entrepreneurship. More and more companies also started to more deeply consider how to engage their collaborators through meaningful missions. Thus, the stage is set in France for creating a clear way to embrace changemaking as a path to personal and collective wellbeing. Matthieu created an easy-to-replicate set of online and offline platforms and tools to allow people and organizations (1) to discover their changemaker talents and create a desire to use them, (2) translate that desire into an idea and (3) turn that idea into action. This 3-step transformative process has been designed along with experts in leadership and personal development and alternates inspirational moments, personal and group reflection and taking concrete actions towards a shift in the Changemaker direction of their professional careers. In 2014, Matthieu launched, as a first test, a 10-day long bus tour across France that took 50+ people aged 18-30 to meet with social entrepreneurs (from youth venturers to seasoned Ashoka Fellows), ‘enlightened’ business leaders, philosophers, economists, and inspiring opinion leaders. Since then, Matthieu built on that experience to package the same ingredients and process into new formats to reach a broader audience: the first iteration of the Ticket for Change online tools gathered 35K+ participants from 160 countries,with hundreds actually launching a social-impact driven project. Matthieu is igniting an irreversible cultural shift that makes changemaking the best attitude to adopt for one to thrive in the 21st century: within 2 years, Ticket for Change has attracted media attention at national level (80+ national radio, TV, and newspaper appearances), generated huge traction on social media (millions of internet users impacted), activated a community of 2,000+ aspiring changemakers across dozens of countries, and mobilized cultural icons, decision-makers and opinion leaders (singers like Zaz, French minister of Education, famous Chef Thierry Marx, environment ambassador Nicolas Hulot and others) as ‘loud speakers’ to catalyze this profound mindset change. Identifying different profiles among the participants, Matthieu created three specific tracks respectively dedicated to potential social entrepreneurs, social intrapreneurs and changemakers (people practicing changemaking without being at the head of a project). First focusing on individuals, Matthieu now also targets organizations to which he provides turnkey, tailor-made intrapreneurship programs, empowering their employees to become corporate changemakers. Matthieu is already working with several companies, with a flagship partnership with Orange to empower 30 high potential intrapreneurs in developing their changemaker skills and launch new projects within Orange. By pioneering new and blended-learning platforms combining real-life experimentation, group dynamics and offline, collective sessions, Matthieu mobilized a now exponentially growing community of 2,000+ enthusiasts during 100+ live events self-organized by local communities, in 2015. 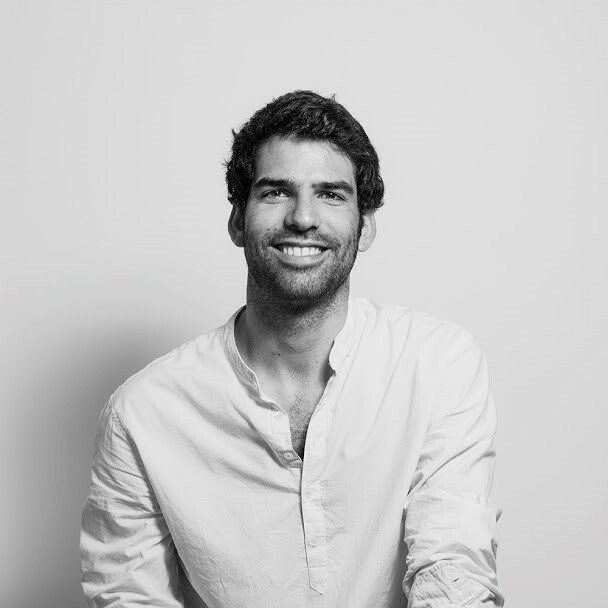 To keep active and grow this movement of people convinced by the idea that changemaking is fulfilling at both personal and collective levels, Matthieu is now structuring and equipping a network of dozens of local ambassadors to manage existing communities and ignite new ones. Using the “Ticket for Change” stamp to gain credibility in the social entrepreneurship and business worlds, these ambassadors are provided with skills, tools and network. His work in 2015 has allowed him to sharpen his understanding of which elements are "core" for all audiences. This allows him to envision tailoring new offerings that address the needs of a wide range of potential targets, from global corporate leaders to local public authorities, academic institutions, people living on farms and rural villages, etc. In the first place, his strategy consists in partnering with key players of different fields, as he already did with the leading business school HEC, to showcase what is possible and cultivate role models in encouraging changemaker attitudes. The son of a human resources high-executive and a social worker, Matthieu has been exposed from a very young age to social considerations. The last of five kids, but essentially raised as an only child, he demonstrated creativity early, by creating a great number of board games with different characters and rules. He first experienced changemaking by joining the Scout Movement during 10 years, where he had the opportunity to discover group life and lead solidarity actions. A brilliant student, Matthieu entered the Ecole Supérieure de Commerce de Paris (ESCP). Focused on the link between economy and society. He was obsessed with finding his own path, and he took a gap year to design and carry out, along with a friend, the “Destination Changemakers” project: a nine-month trip across India, the Philippines and Senegal to meet and work with “entrepreneurs who change the world.” To share his learnings and inspire more young people to act for change, he wrote and shared numerous articles and videos during his trip, and co-wrote a book about his experience. In India, while participating in a locally-organized journey to meet inspiring social entrepreneurs along with a group of other young people, Matthieu has been really struck by the power of these changemakers who positively impact thousands of lives on a daily basis. Since this life-changing experience, Matthieu has been eager to quickly awake a new generation of changemakers, beginning in France: upon his return, Matthieu created Ticket for Change in 2013, while finishing his studies, with the objective to systemize the transformative process he had lived. Today, Ticket for Change already gathered a team of 13 full-time workers, raised more than € 1,2 million, collaborated with 20 companies. In a very short period of time, at 25 years-old, Matthieu managed to become a strong influencer in the academic, corporate and public circles.